This special event from Friday, 30th November, to Saturday, 1st December 2012, provided a wide program with lectures, films, performances, sound projects, space staging and a concert installation. 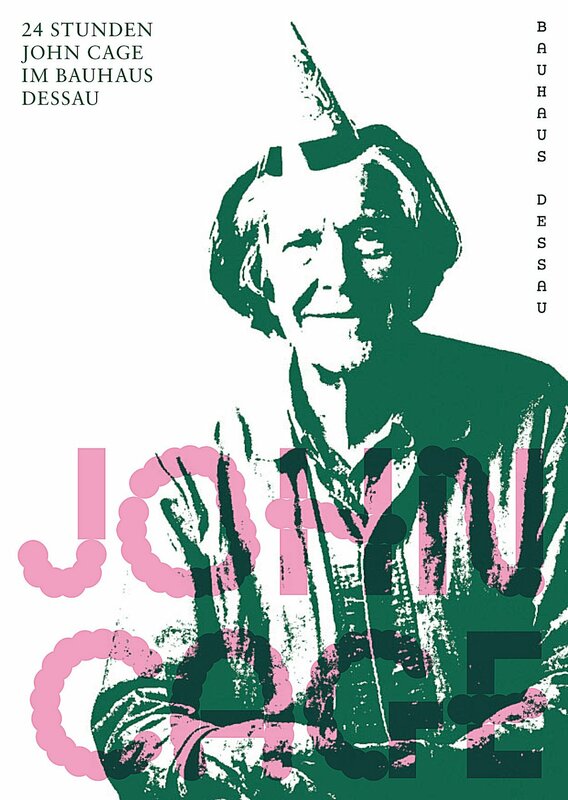 This Bauhaus-happening is dedicated to the American composer and avant-garde artist John Cage, who would have celebrated his 100th birthday in 2012. For 24 hours, a spatio-temporal course took up and reinterprete the artists’ works and related it to the bauhaus building in a scenographic way. This artistic process of involvement with John Cage was completed in a brilliant way on 1st December, 8 pm with the concert installation staging cage – schönberg – glass, conducted by Daniel Carlberg on "Probebühne I" of the Anhaltisches Theater Dessau. Pieces of John Cage were performed as well as works from the beginning of the modern age and from the artist’s environment. This event was supported by Lotto-Toto Sachsen-Anhalt.